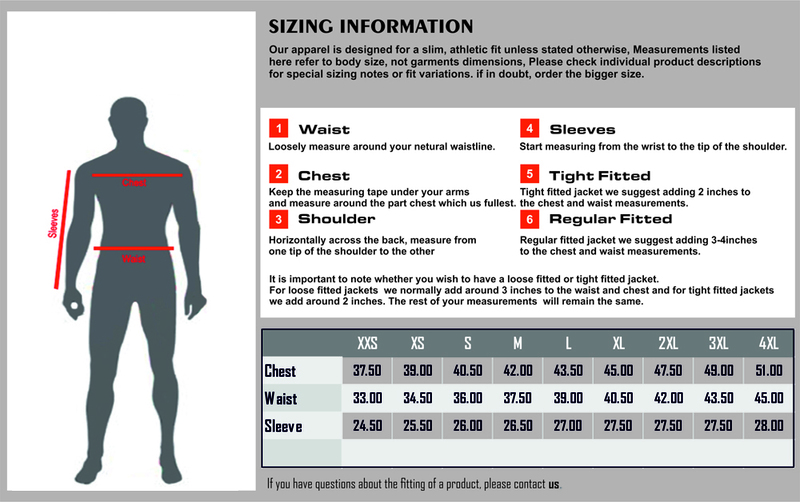 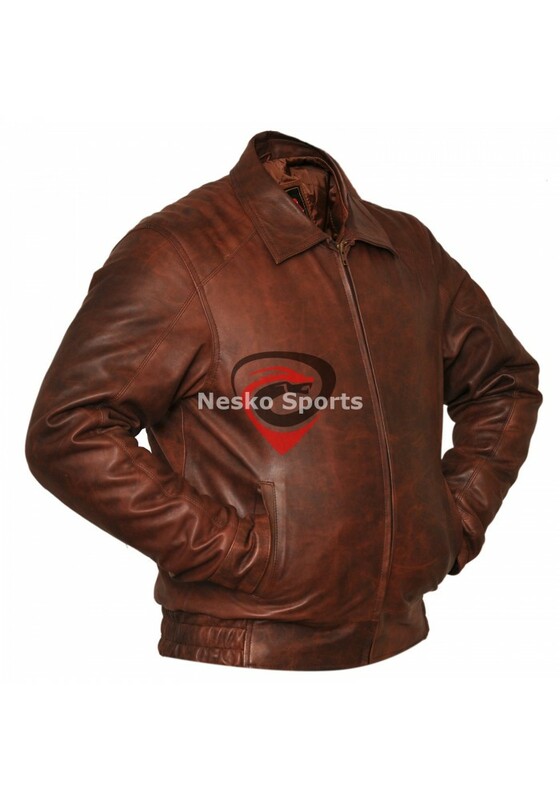 The sleek "Bomber Jacket" designed affords style and function in one garment. 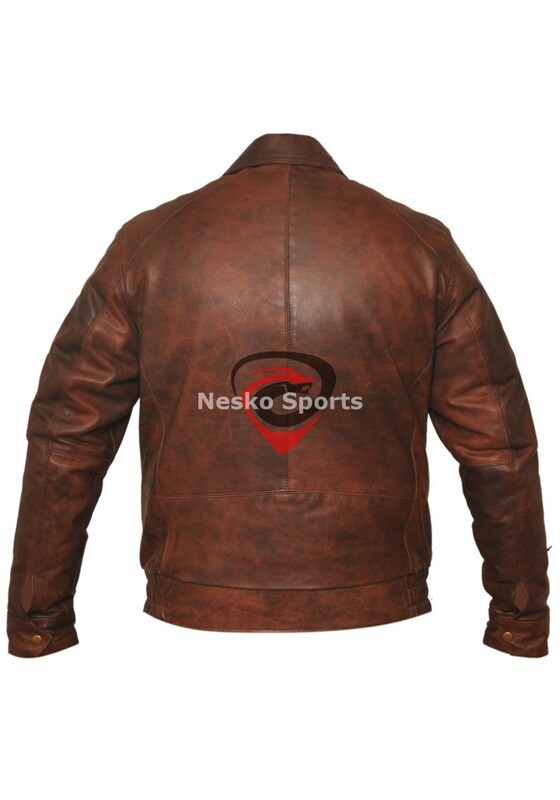 The special design made by "Nesko Sports". 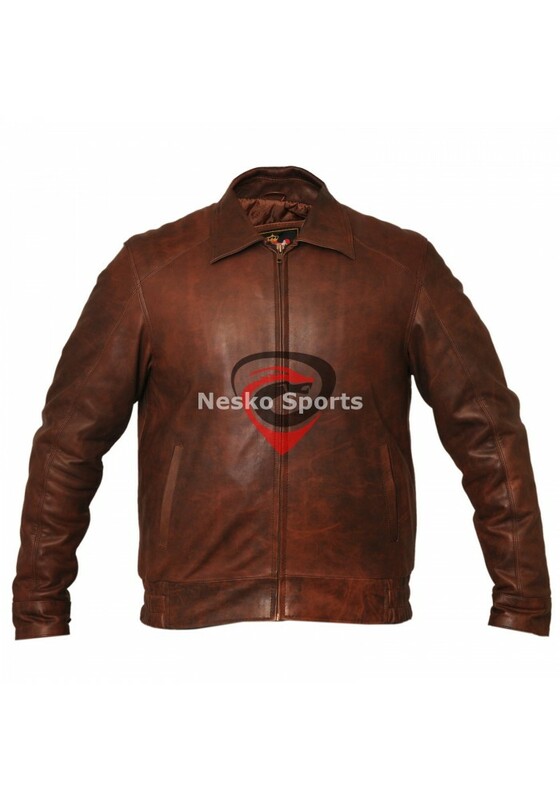 This jacket is made of premium quality distressed cowhide leather. 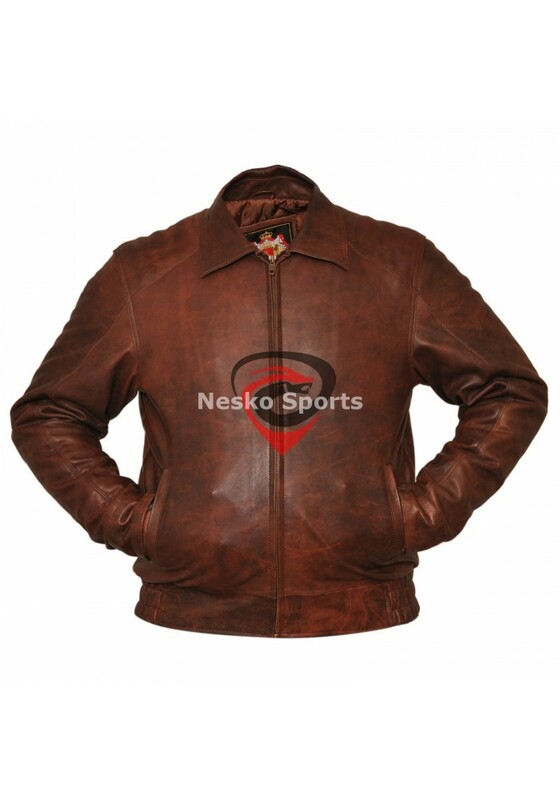 The jacket also features zippered front closure, 2 exterior slash pockets, 2 interior pockets and 1 mobile pocket, Elastic waist, Antique brass accessories, Adjustable snaps closure at the wrists and quilted lining.